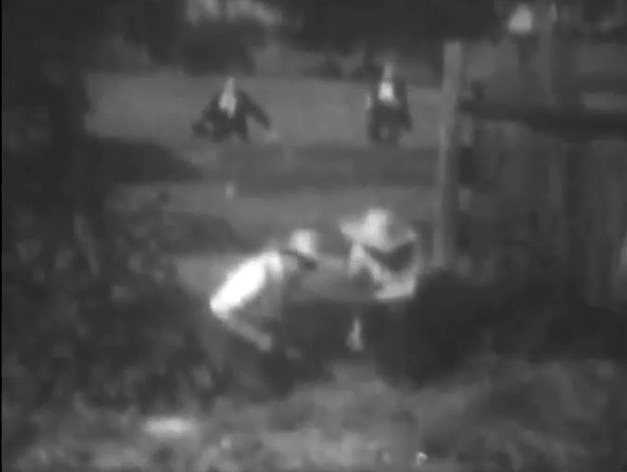 Mabel Stoughton woos every man she meets in "Balked at the Altar" (1908), director D.W. Griffith. 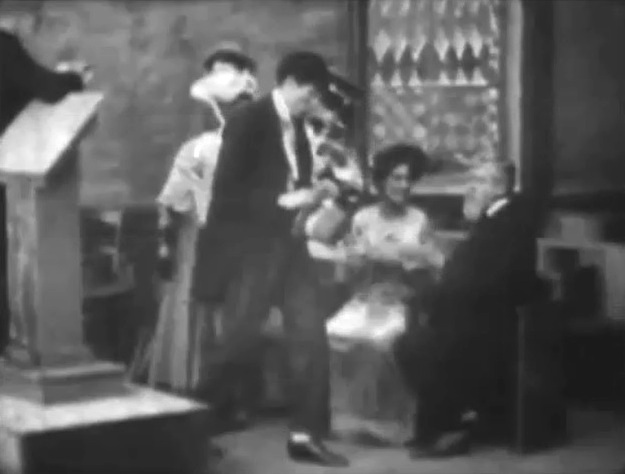 Arthur Johnson, sitting on the bench, has a chat with another villager in "Balked at the Altar" (1908), director D.W. Griffith. 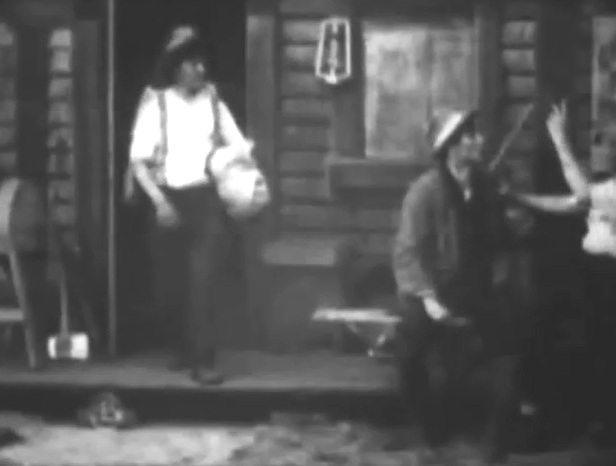 Robert Harron walks out of the store carrying a bucket in "Balked at the Altar" (1908), director D.W. Griffith. 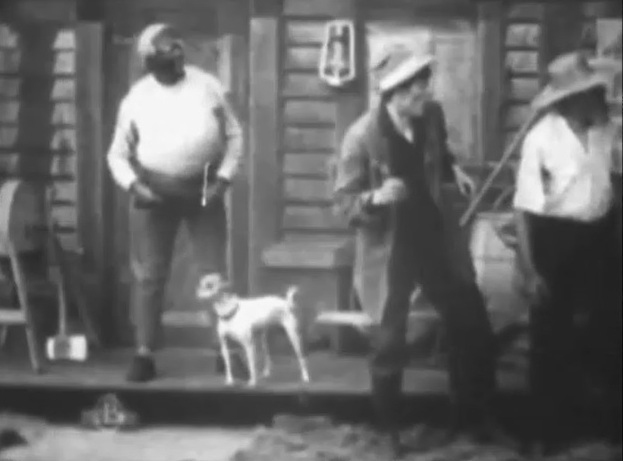 Arthur Johnson and other villagers watch as the spinster's father takes the reluctant man away in "Balked at the Altar" (1908), director D.W. Griffith. 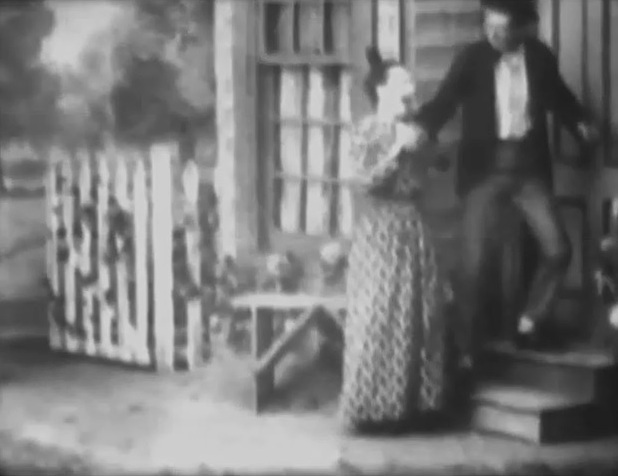 The reluctant man is persuaded at gunpoint by the spinster's father in "Balked at the Altar" (1908), director D.W. Griffith. 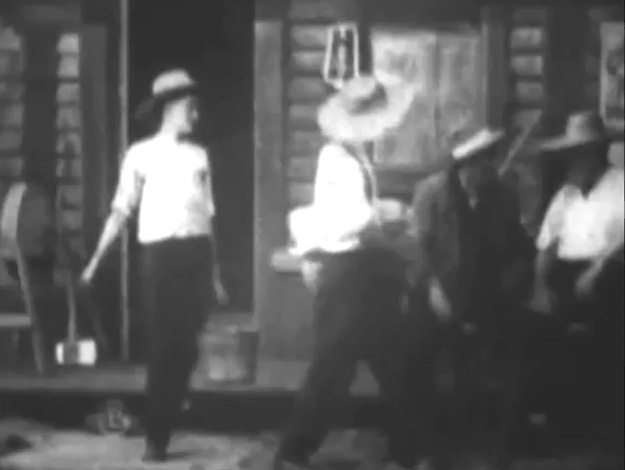 Arthur Johnson walks into church for the wedding ceremony in "Balked at the Altar" (1908), director D.W. Griffith. Robert Harron plays dice with another boy as the chase is on for the runaway groom in "Balked at the Altar" (1908), director D.W. Griffith.